Bone Marrow Transplant. The process- Simplified. Disease, in our minds is not acceptable. We do not talk about it openly. We reject, refuse and pray away disease. In some cases, we blame people for their illnesses, after all there must be a reason. “One certainly must have offended some god or God to be ill”. Worse still are those said to be incurable. In most parts, we simply cannot wrap our minds around them. These ailments that cannot just be wished away and must be necessarily explained away by conspiracy theories. Everyone wants a state of complete mental, physical and social well being and not merely the absence of disease. We all want health. However sometimes disease occurs. That disorder of structure or function that may produce symptoms and is not just due to physical injury occurs. Sometimes it is preventable other times it is not. Sometimes communicable, other times not and sometimes it is curable, other times it is not. Sickle cell disease is one of those easily preventable, non-communicable and non curable diseases. It is a genetic disorder that occurs due to a mutation in the DNA of the haemoglobin molecule. The presence of the abnormal haemoglobin (S) and another abnormal haemoglobin (S,C,D,E,O) etc causes the symptoms and complications of sickle cell disease. To clarify, due to extensive research and advancement in medicine, there is a cure for sickle cell disease. This cure unfortunately is not generally accessible, affordable or available. Thus much as in theory sickle cell disease can be cured, in reality only a few patients with the most severe disease ever get access to it. The mainstay of management thus, is symptomatic relief and complication prevention. This involves the use of drugs such as folic acid and hydroxyurea, frequent blood transfusions, effective pain management and continuous monitoring through laboratory investigations and imaging studies to prevent the occurrence or progression of complications such as sickle cell retinopathy, nephropathy and avascular necrosis. Our difficulty with accepting incurable disease is quite evident through interactions with persons living with sickle cell disease. Some patients for example assume that folic acid, a drug which helps in DNA synthesis and enables the body to better replace broken down sickle cells is a cure. On occasion that these patients do get crises due to exposure to precipitants, they assume their cure has failed and seek care elsewhere. Some on the other hand are quite content with analgesics (pain killers), which provide relief from pain which is a major symptom of the disease and thus find the call for routine care rather unnecessary. In these interactions, I have found that the admission by health workers that they hold no cure to this disease frustrates patients who in an attempt to get cured try various herbal and faith healers. Generally, we are accustom to diseases like malaria that knock us out for a couple of days and leaves us feeling just as healthy as we were before the illness. Malaria prevention thus seem like massive overkill, after all you can treat it and get cured in no time. We seem to have this same mentality about chronic diseases such as diabetes, hypertension and sickle cell disease. We aim to treat them for a short period and only bother with them the next time we get symptoms. Still in search of a cure, some seek spiritual help at the expense of medical care. Faith is good, faith helps us cope and yes miracles do happen. But unless you pray a swap in the amino acids of the DNA of the haemoglobin molecule, whatever faith related respite is temporary. I am especially passionate about this because patients tend to ignore medical advice in search of a cure from faith healers and return only when they develop major life threatening complications which could have been prevented if they did not default on care. The presentation and severity of sickle cell disease vary. Whatever herbal or orthodox haematinics (blood tonic) may correct the anaemia which causes weakness, easy tiredness, dizziness, headaches and palpitations. Pain killers may relieve pain and prayer may produce an amazing sense of wellness but all these do not convert sickle cell to normal cells and their continuous presence with or without overt symptoms progressively cause complication that can be effectively managed with continuous care. Being supportive means respecting a patients choice to pray for strength to overcome the adversity that sickle cell bring while seeking medical care if that is their choice. It also means as a health practitioner I give you information required to make a personal decision and hope you will be able to make an informed choice based on it and live with whatever repercussions there are. This cure, a bone marrow transplant as mentioned above is neither available, accessible nor affordable for majority of sickle cell patients. This procedure is useful for a wide range of blood disease such as sickle cell, thalassaemia, aplastic anaemia and for cancers like leukemias and lymphomas. Simply, it involves the removal of abnormal blood cells from a patient, destruction of the body’s ability to produce more of those abnormal cells and replacing them with healthy cells received from someone else (donor). These healthy cells are called stem cells and they have the ability to grow and produce more healthy cells, in effect curing the patient. It is a bone marrow transplant because blood cells are produced in the bone marrow. The sickle cells in the patient’s (recipient) bone marrow are killed using irradiation and or chemotherapy (like in cancer to kill the bad cells) to make it safe to receive the donor’s cells. The recipient in typical bone marrow transplants must meet an eligibility criteria which includes factors such being less than 16 years old and having severe disease with complications such as frequent strokes and acute chest syndrome. The recipient necessarily must be a match to the donor. (Basically, the same principle as blood transfusion but a lot more complex and with more severe complications if this is not done well). A compatible sibling is usually used to reduce the risk of rejection and the sample is collected and taken through processing and preservation in preparation for the patient. When the recipient is sufficiently prepared they receive the bone marrow through a vein (like an infusion/drip) and go through an average of 2 months recovery. During this period they are kept under strict hygienic conditions as the new stem cells develop and their immunity grows again to be able to fight infections. In the period the patient is also strictly monitored for signs of failure of the transplant. Like all medical procedures, a bone marrow transplant has some risks. These include transplant failure (the new cells don’t work), graft-versus-host disease (the new cells fight the old cells), seizures, bleeding into the brain, infertility and death in 5-10% of patients. Despite these the current success rate is 85%. Major considerations include few children meet the eligibility criteria for this procedure, the donor has to be a sibling (which raises ethical questions about having other children specifically to serve as donors for the patient), high cost ( about 5000 Naira in Nigeria and 95000 pounds in the UK) and the procedure not being available in many health facilities. A newer modality is the adult bone marrow transplant which does not require as much chemotherapy and is therefore safer in adult patients. Partial match bone marrow transplant have also shown some success and would be very useful in the future as access to donors is a major limiting factor. 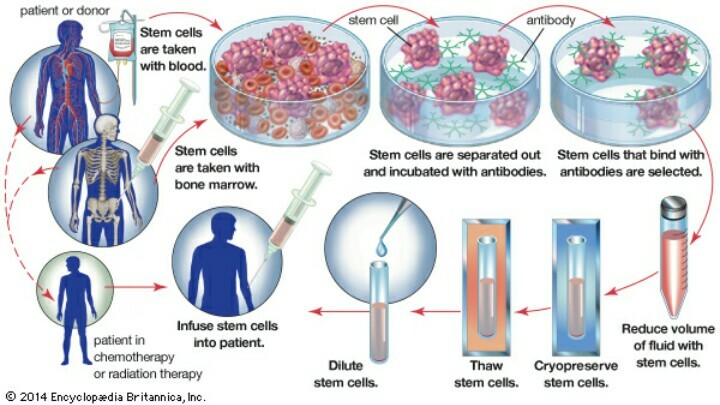 For those considering this procedure in Africa Egypt, Nigeria and South Africa have the ability to harvest stem cells and perform transplant while Nigeria and SA have bone marrow registers. You will need to do further research about specific countries, the services they provide, a break down of the medical cost, estimated non-medical costs including flying to and living in another country for 2 months etc. Fundamentally you will need to meet the eligibility criteria and have a matching donor to receive this service. This is the cure we offer. The bone marrow transplant. Is it an option you would consider but more importantly, is it a feasible option for you and your family? This entry was posted in Blog and tagged bone marrow transplant, Ghana, health, rare disease day, sickle cell disease. Bookmark the permalink. ← Sickle Cell Awareness Survey. I admire you ability to simplify complex details. I found this article refreshing. Thank you Nana. How about a guest post from you? Our readers will certainly love some variety.